For those of you in the Postgres world, you already have probably bounced between a few SQL clients and if you are like me, not been totally impressed with the results. 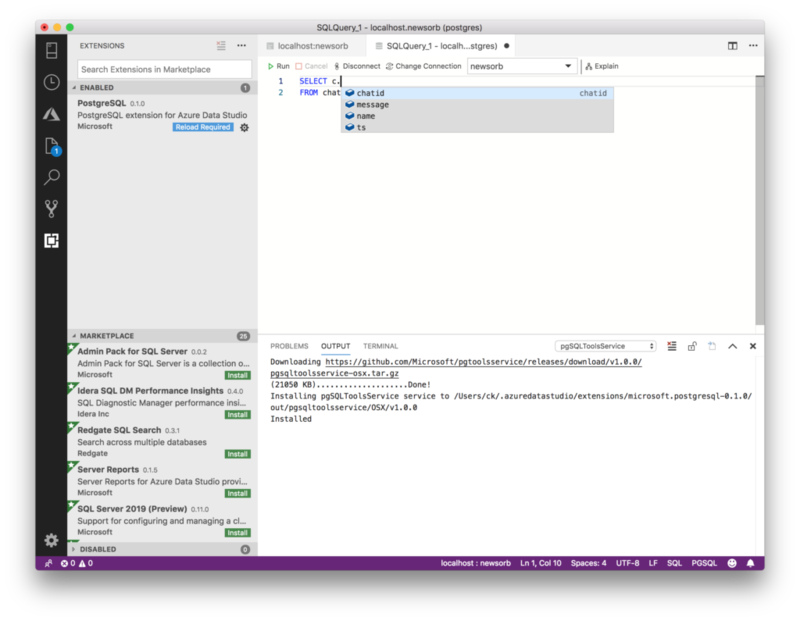 For those of you who are SQL Server Data professionals and live in the comfortable world of SSMS and ADS, you may not know that a significant part of the world still runs queries on the command line, or is forced to rebuild their own tool to meet their needs in each language de jour. I have been working on some side projects with Docker, Postgres, and a few other pieces of tech, so this announcement was perfect for me to test it out. Just like my post on Notebooks, I am going to download the most recent release from the Insider’s build, but I am going to keep the screenshots a little more brief. Make sure you enable those preview features! 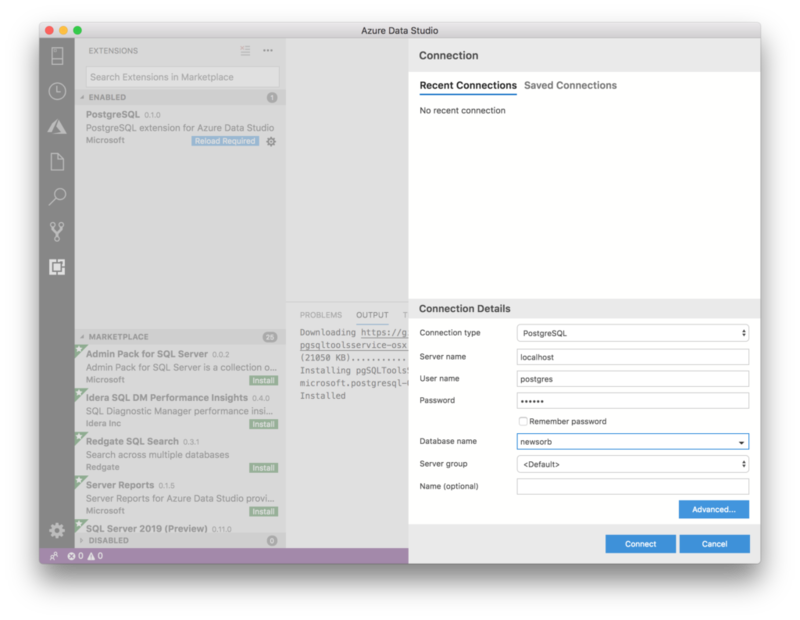 I used a local connection to a docker container hosting my Postgres instance and Azure Data Studio connected the first try! Notebooks instantly inferred my context from the Postgres connection! Sweet! 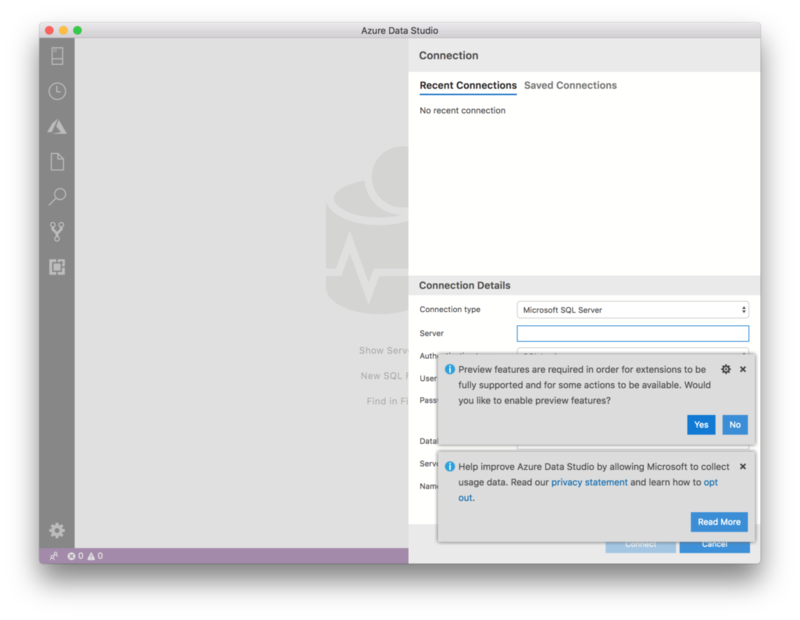 I love this direction for Azure Data Studio and I hope we see more open source databases supported in the future!